Is this usually what you think of when you think of Star Trek? I’m guessing not. The first season episode of TNG, “Conspiracy,” is a really bizarre episode for a number of reasons. First, it was one of the early attempts at story arcs, with the eponymous conspiracy having been alluded to in previous episodes. And more notably, it features some really unusual gore for a Star Trek show, with Remmick getting blown to bits by phasers in a way that they never did before or since. 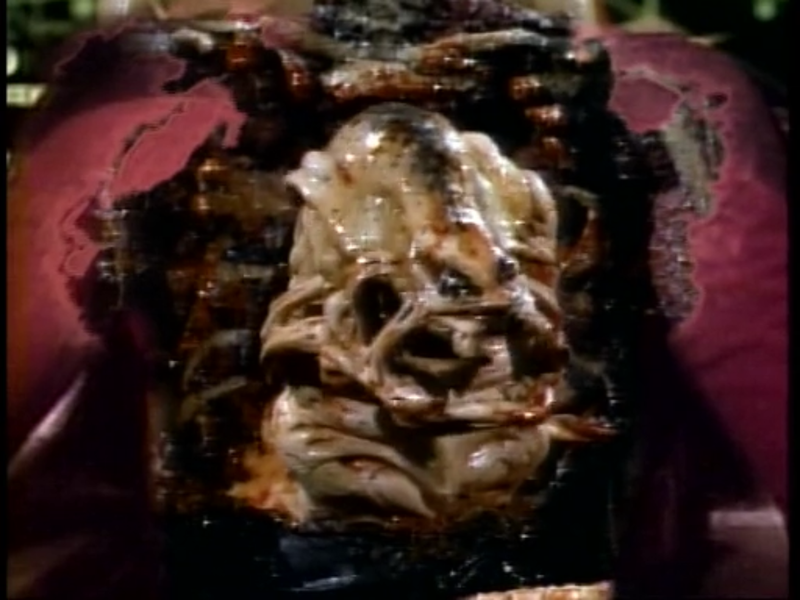 In the episode, a number of high-ranking Starfleet admirals are taken over by these parasitic worm-like creatures, and they intend to take Picard and anyone else noteworthy before solidifying their grasp on the entire Federation. Fortunately the Enterprise crew get rid of all the aliens and save the day. Problem solved! Oh wait, not quite. See, Remmick, or rather the creature inhabiting Remmick’s body, sends off a distress call that transmits for an unknown amount of time. When the rest of his species gets the message, they’ll come straight to Earth… but that never happened. The original plan was for this to be the explanation behind the Borg’s arrival, but that obviously doesn’t work with how the Borg were eventually portrayed. There are EU explanations, of course, which cast the parasites as malevolent relatives of Deep Space 9‘s Trill, or as genetically engineered weapons designed by the ancient Iconians, but we all know that stuff isn’t pure canon. So we’re left wondering–just who were these aliens, and why did they try to infiltrate Starfleet? Frozen and pushed into a drawer, never to be seen or mentioned again. 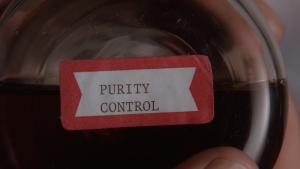 Series 1 of Torchwood was a rough start, but it found its groove in the second. 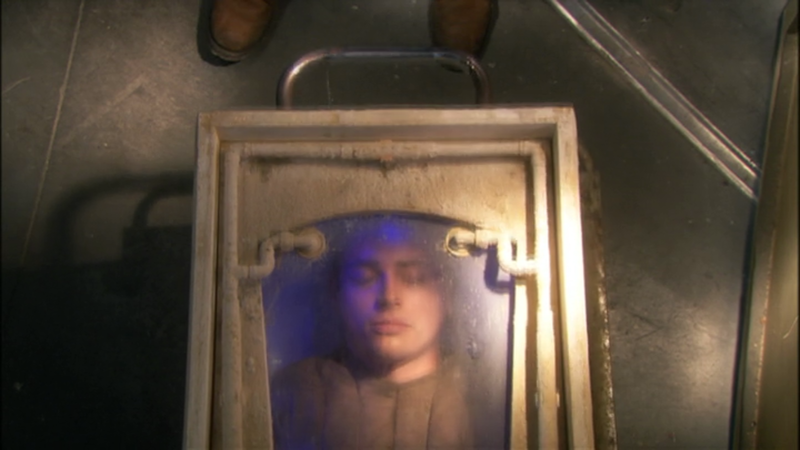 The series 2 finale of Torchwood is a pretty huge moment for the show, taking away a number of main characters and sharing some of Jack’s backstory. Spoiler Alert, but Jack’s brother, Gray, turns out to be the bad guy behind the scenes, looking for vengeance on his older sibling for abandoning him to a life of torture. He’s eventually taken out, and Jack places him in a cryotube; he’ll have to deal with it some day, but he just can’t do it right now. Given that the very next episode is the start of Children of Earth, which ends with a bomb being surgically implanted inside Jack that destroys the Hub. Was the cryopod holding Gray housed there, or had it been moved somewhere safer? Was it destroyed, or could it have survived? Or worse still, is there a chance it was damaged and he managed to escape somehow? The show’s transition to the heavily serialized format used in Children of Earth and Miracle Day meant that this question is unlikely to ever be answered. 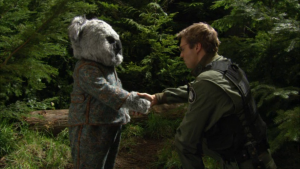 The joke appearance in “200” just fully embraced the Ewok vibe. Early on in Stargate SG-1, it was established that there were four great races: the Ancients, who were humanlike before ascending to a higher plane of existence; we mostly deal with their aftermath rather than encountering them directly. There’s also the Asgard, who play a pretty large role in the series and are among the SGC’s greatest allies. The Nox, on the other hand, are only encountered a few times, and they’re noninterventionist to the point of willingly facing extinction rather than interfere. Which leaves us with the last of the great races–the Furlings. They are never heard of or even mentioned outside this context of being the fourth race. SG-1 only encounters their left behind technology once, unlike every other species in the galaxy, who seem to have left doomsday machines lying around on every planet they past. Nor do we ever meet anyone who has heard of them. The name clearly gives an idea of a furry creature, and that diminutive “-ling” suffix seems to imply they’re small. The show even jokingly references this in “200,” where they’re depicted as being basically like Ewoks. Their nonappearance even starts to become a running gag. But these guys clearly weren’t a joke, if they’re mentioned in the same breath as the Asgard and the Ancients; so who were they? Will we ever find out? But what is it? It’s hard to believe this is some natural part of the alien reproductive cycle. It’s been variously shown to just be a virus suspended in the ooze (hence why it’s often found in actual oil deposits), to being some kind of actual living liquid life form. It’s shown to be able to break through diving suits and other kinds of hazmat defenses, and yet somehow sewing up one’s orifices is enough to prevent infection. 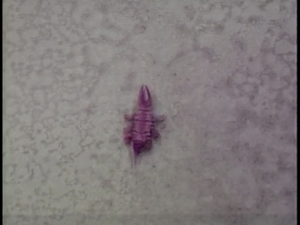 Could it be some kind of genetically engineered weapon, used to convert potentially hostile native populations into members of their own species as part of the alien colonization effort? That seems more in line with how it’s portrayed in the movie. But then, if that’s the case, why do they need a full blown invasion? Unlike the others, this one stands a chance at being answered, with The X-Files revival coming up, but don’t count on it. Rumor has it they’re going back to Monster of the Week style episodes, rather than resolving the myth arc. I’m not as much of an expert on The X-Files as some of these other series, so if I’ve missed something astonishingly obvious, let me know. That’s our Friday Four for this week. There are tons of other unanswered questions out there, especially in episodic or hybrid shows like these. Are there any that you’ve been left wondering about, or perhaps questions from another show you felt were more deserving of a spot on the list? Let me know in the comments, or on Twitter @RetroPhaseShift. I still haven’t figured out what to do about Defiance except just have a wonky schedule for the next few weeks, so just expect most of the posts to be centered around the weekend instead of throughout the week. But we’ve also got Dark Matter and the premiere of Killjoys tonight, so that’s worth it, right? whoops. I used it as a template and forgot to fix that part. thanks for pointing it out.